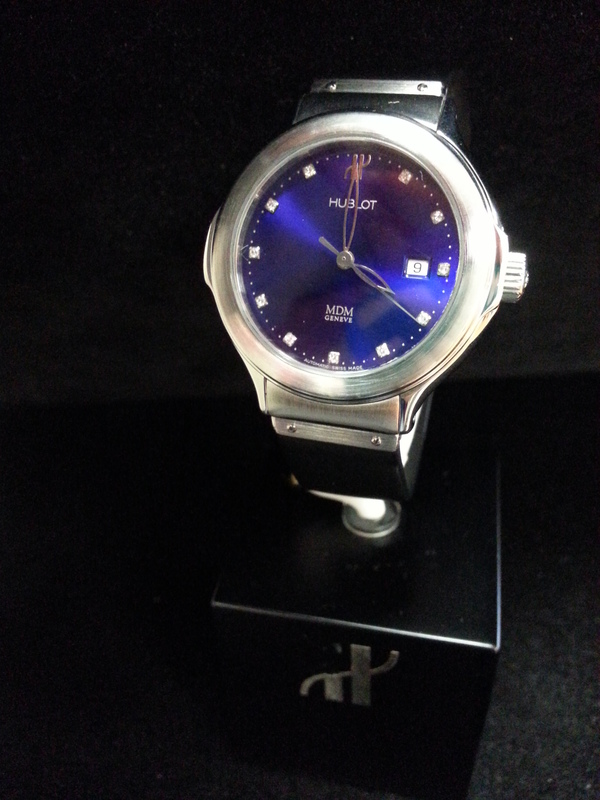 Estate Lady’s Hublot: Estate Lady’s Midsize Hublot Stainless Steel Automatic with Blue Diamond Dial on Rubber Strap. 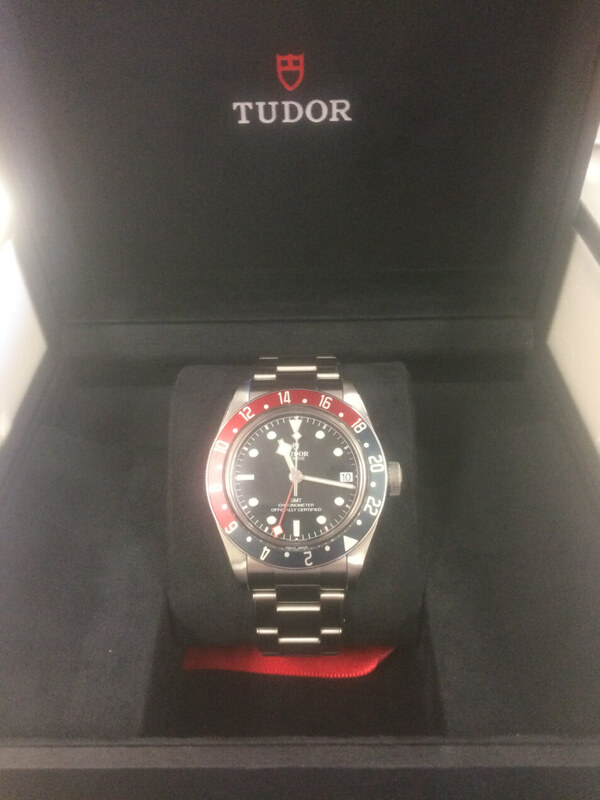 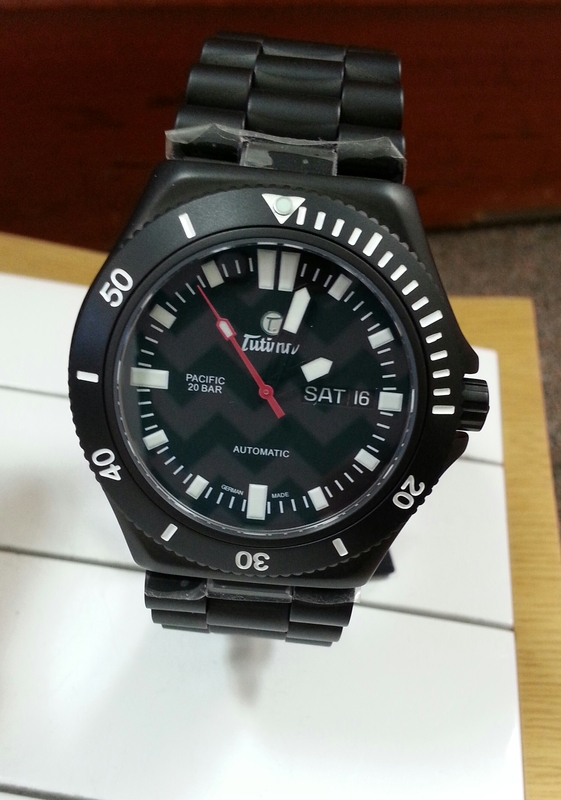 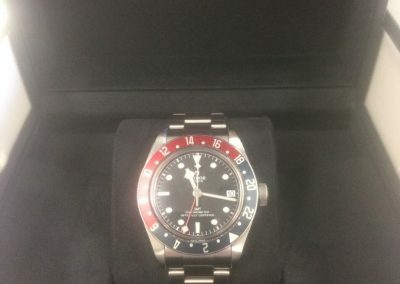 Black Tutima Watch: Gent’s Tutima Black Hardened Stainless Steel Pacific with Black Dial and Bracelet. 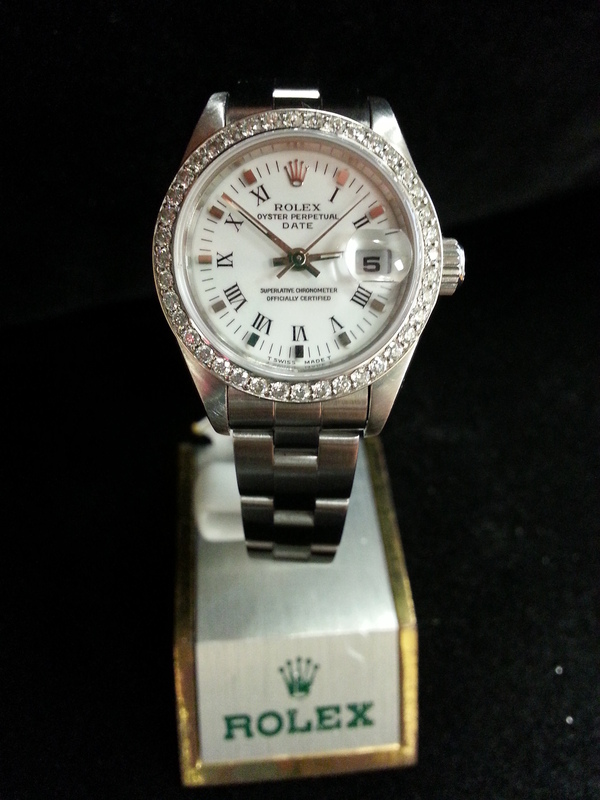 Estate Lady’s Rolex: Estate Lady’s Stainless Steel Rolex Datejust with Custom Diamond Bezel on Oyster Bracelet. 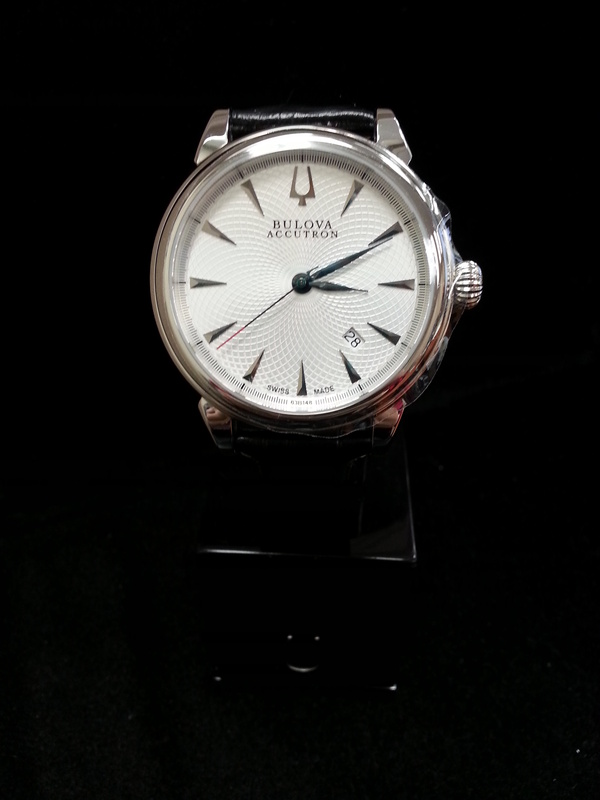 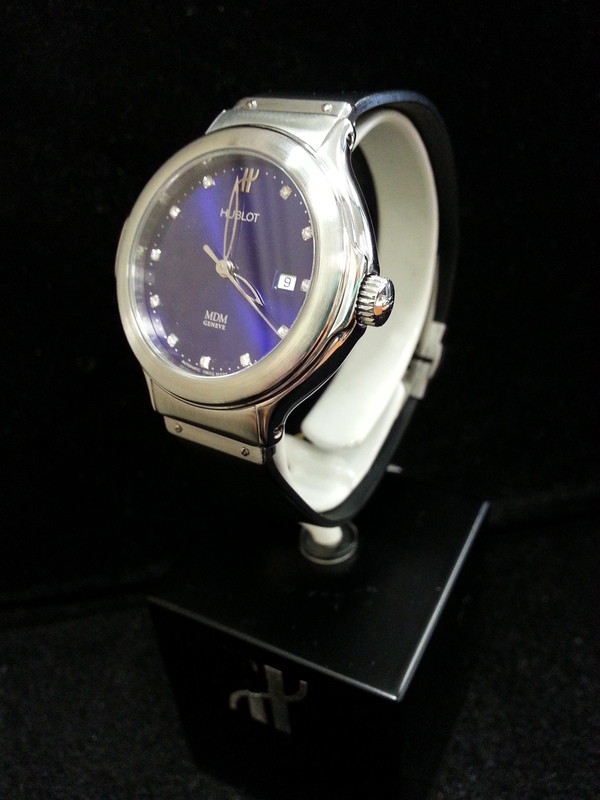 Bulova Mens Watch Black Strap: Gent’s Stainless Steel Bulova Accutron Gemini with Silver Dial on Black Leather Strap. 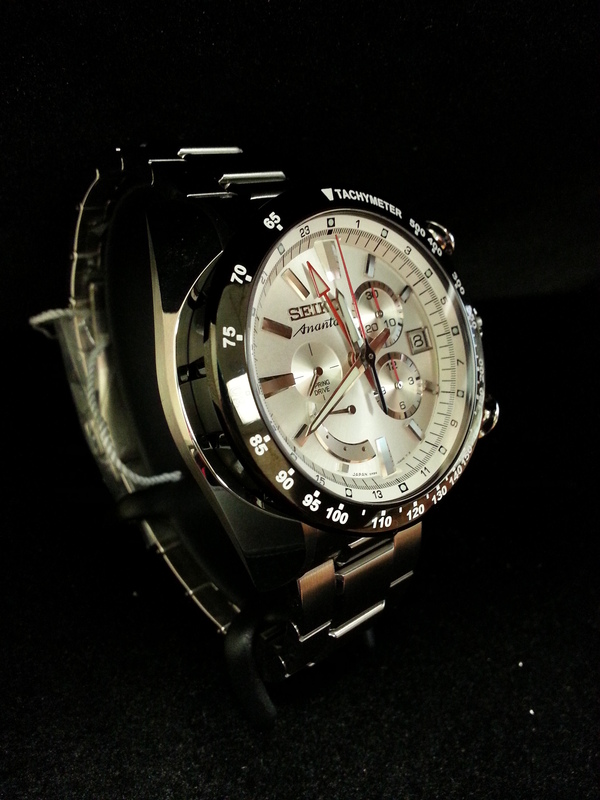 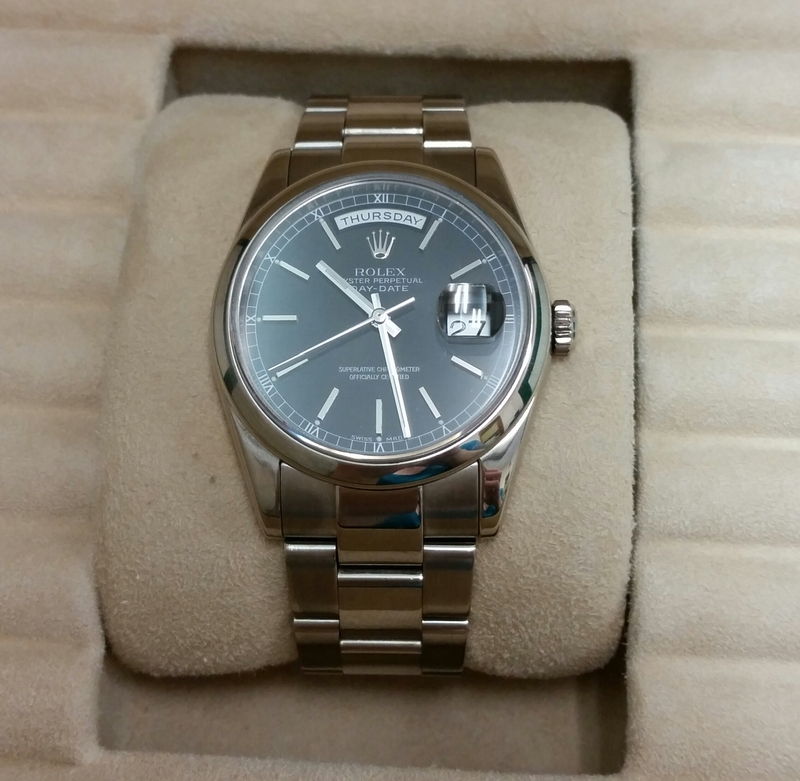 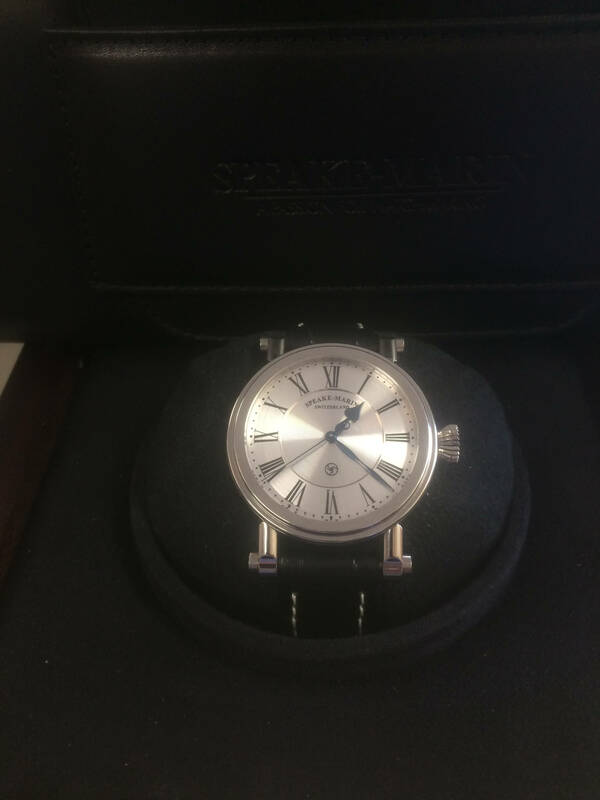 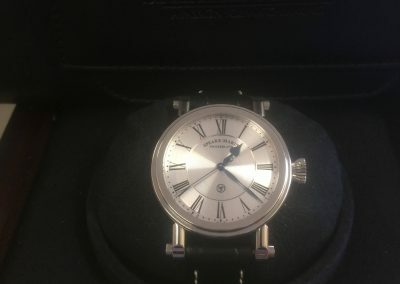 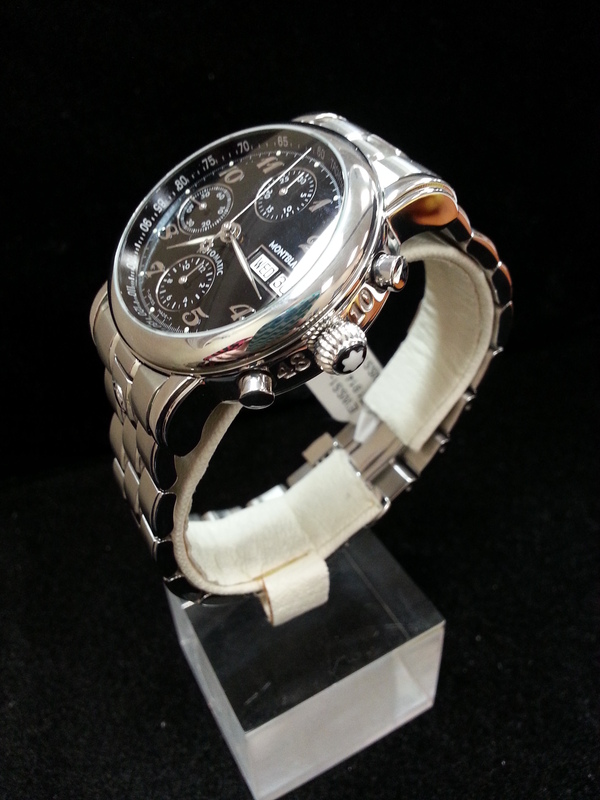 Seiko Watch: Gent’s Stainless Steel Seiko Ananta with Silver Dial. 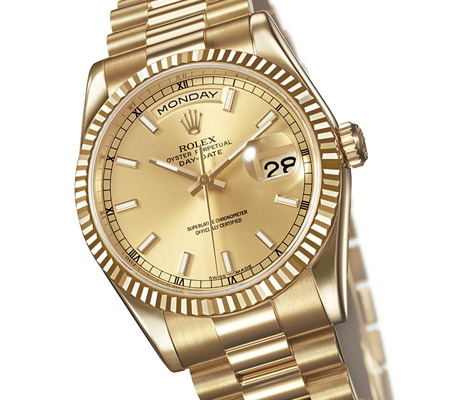 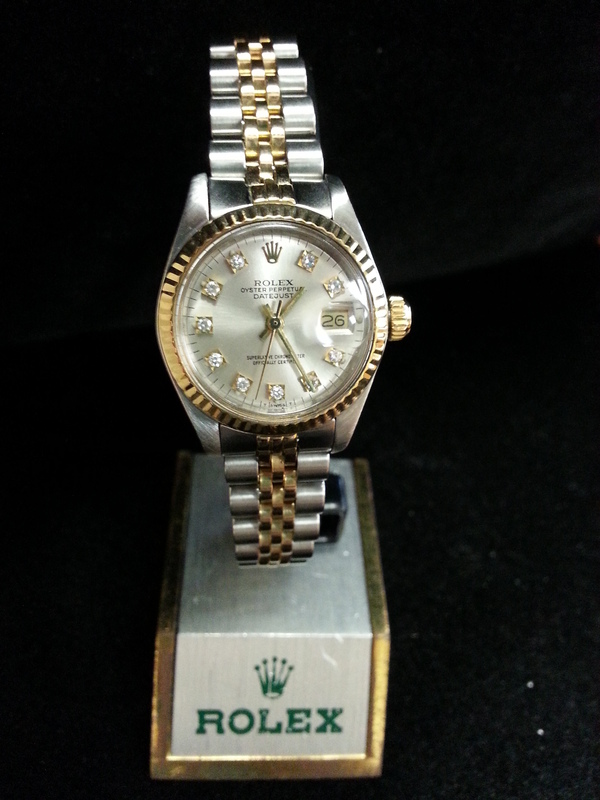 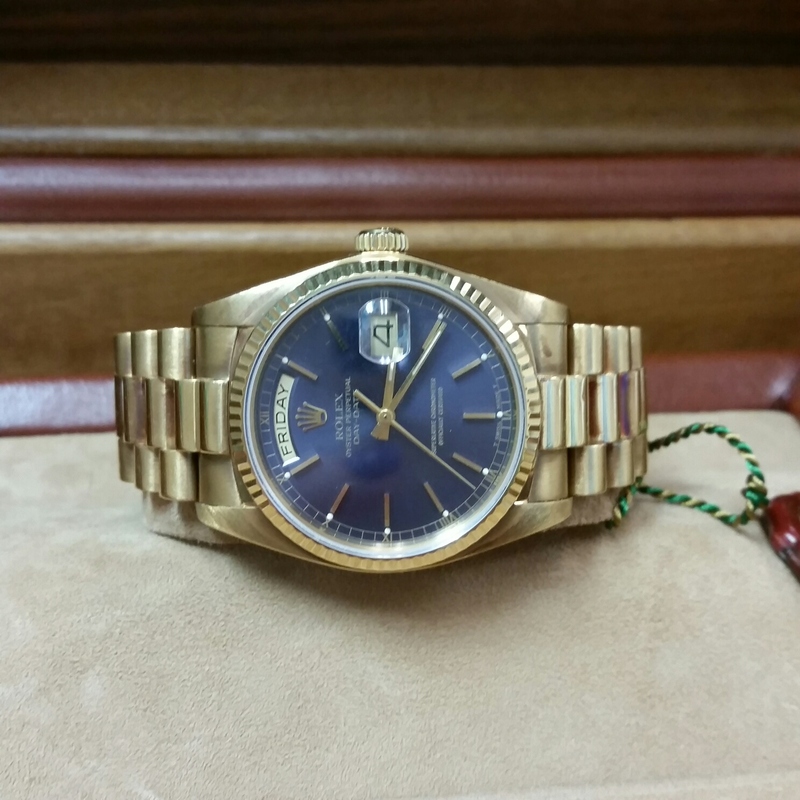 Estate two tone Lady’s Rolex: Estate Lady’s Stainless Steel and 18k Yellow Gold Rolex Datejust with Diamond Dial. 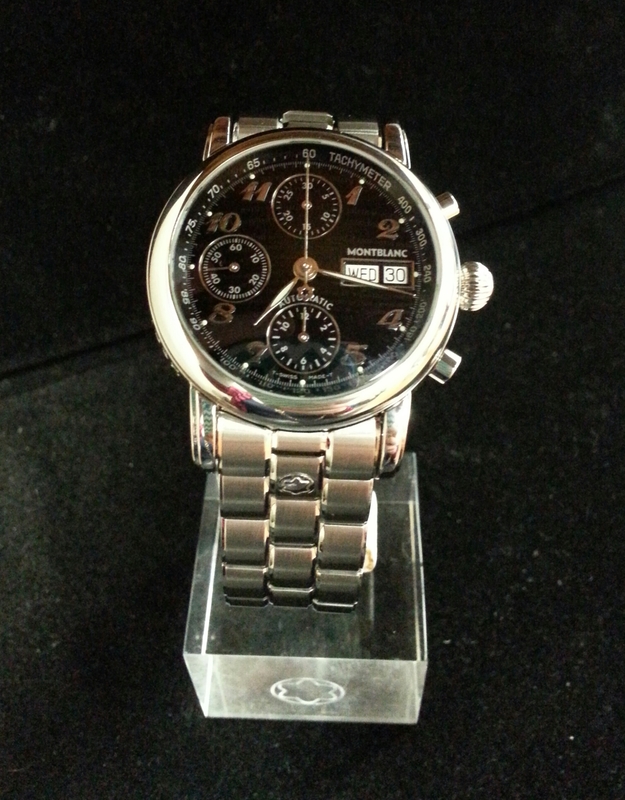 Montblanc Estate Watch: Estate Stainless Steel Montblanc Meisterstuck Chronograph with Black Dial. 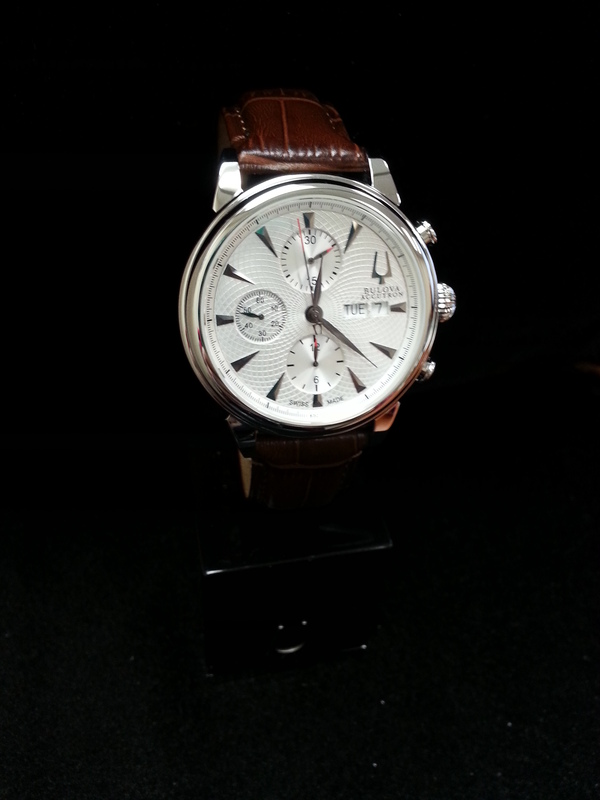 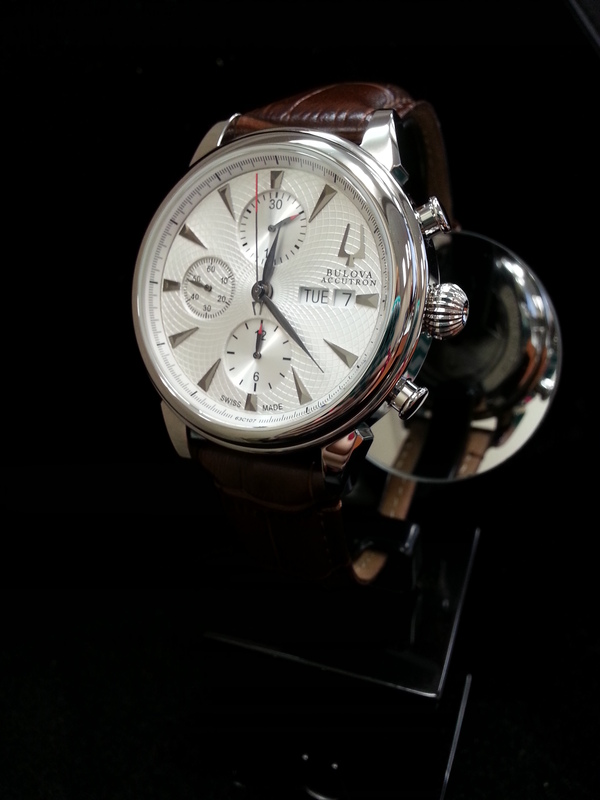 Bulova Mens Watch: Gent’s Stainless Steel Bulova Accutron Gemini Valjoux Chronograph Automatic with Silver Dial on Brown Leather Strap.